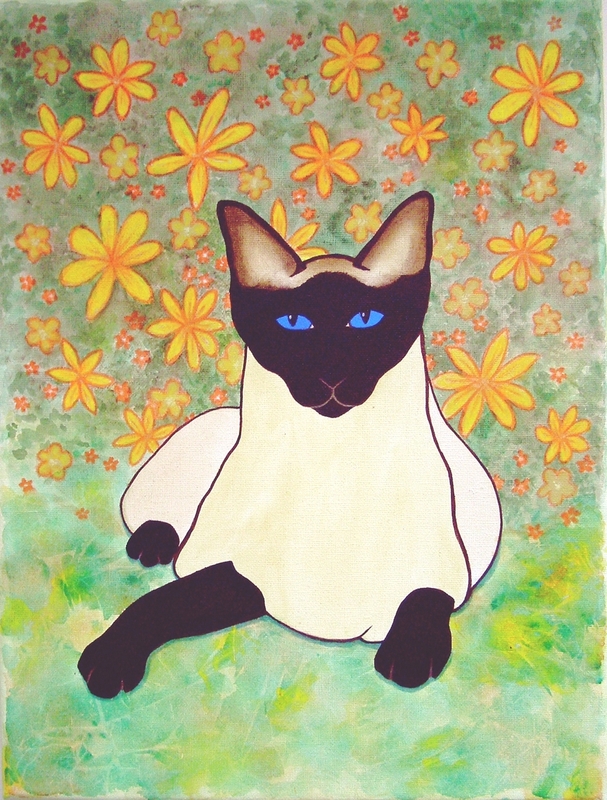 An impressionistic depiction of a Siamese Cat in a flower garden. This painting is on a stretched canvas and will be posted in a protective box. More photos can be supplied by request. It will be sent by Recorded Delivery unless otherwise requested.